B.A.P LIVE ON EARTH 2016 WORLD TOUR SINGAPORE AWAKE! Singapore, 2016 – Fast Track Events is proud to present B.A.P LIVE ON EARTH 2016 WORLD TOUR SINGAPORE AWAKE!!. Follow and stay tuned to Fast Track Events (Facebook: https://www.facebook.com/fastrackevents/ Twitter: https://twitter.com/fastrackevents) for more details and updates regarding this event. Event: B.A.P LIVE ON EARTH 2016 WORLD TOUR SINGAPORE AWAKE!! Singapore, 22nd Feb 2016 – Korean boy band B.A.P will be bringing their third concert tour B.A.P LIVE ON EARTH 2016 WORLD TOUR SINGAPORE AWAKE!! to The Star Theatre, The Star Performing Arts Centre on June 27, 2016 (Monday). Tickets are priced from S$89, and will go on sale from February 27, 2016 (Saturday), 10AM via SISTIC. Fans will be excited to know that Category 1 (S$259) ticket holders will receive an autographed album, signed by a single random member of the group, and be eligible to attend a Hi-5 session after the concert. There is more to look forward to! Despite their hiatus, B.A.P is ready to show their growth and prove why they are ‘best, absolute, perfect’. The members practised exceptionally hard to give BABYs their best. 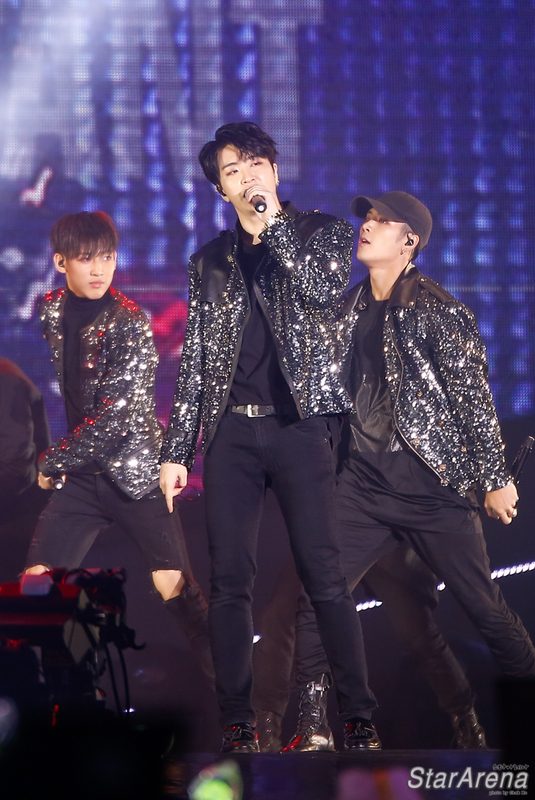 Not only can fans anticipate B.A.P performing to their hits, each member will also be given their fair share of spotlight, as they display their talents in various solo performances. Additionally, the sextet will also be bringing something special to B.A.P LIVE ON EARTH 2016 WORLD TOUR SINGAPORE AWAKE!!. B.A.P will be showcasing songs from their upcoming album Carnival, which has yet to be performed outside of Korea.